CDC won't stop its efforts in West Africa until we get to zero new cases of Ebola. We protect America by helping to fight diseases where they start in the world. Progress has been made in the year since CDC first responded to the Ebola outbreak in West Africa, but CDC’s and the world’s efforts must continue until there are zero new cases. In March 2014, CDC first learned of an outbreak of Ebola in West Africa. CDC immediately sent a team to the field, initiating what would become the largest international outbreak response in the agency’s 70-year history. Over the past year, there have been 1,910 CDC deployments to West Africa, and nearly 3,000 CDC employees have battled Ebola from the agency’s Emergency Operations Center in Atlanta. Working with the affected countries and our international partners, CDC has been heavily engaged in the international and domestic responses to Ebola. Important headway has been made, but the fight is far from over, and we risk losing ground if we don’t stay focused. CDC continues to work in West Africa with the goal of getting to zero new cases in the affected countries and, just as important, keeping them at zero. 1. Getting to zero: While the situation in West Africa has improved, there is more work to be done. There are still Ebola cases in Sierra Leone and Guinea, many of which have unexplained chains of transmission – meaning some cases have not been identified. The recent confirmation of a new Ebola case in Liberia, after several weeks of no new cases, highlights the region’s vulnerability. As long as there is Ebola in West Africa, it remains a threat everywhere. 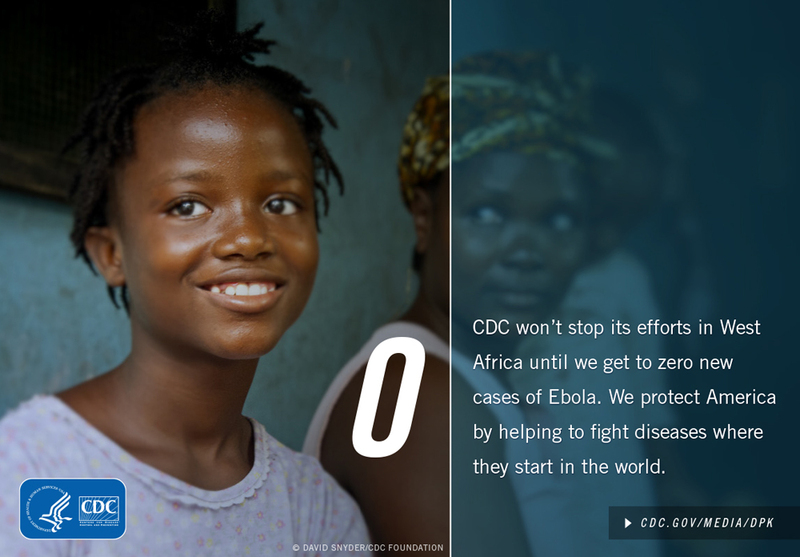 CDC is committed to continuing to help the affected countries get to zero new cases of Ebola. 2. International Response: The health systems in West Africa were poorly prepared to handle an Ebola outbreak of this size and scope. The epidemic has proven remarkably different from past outbreaks -- spreading to urban areas and crossing country borders. By working with local ministries of health and partners over the past year, CDC has helped to slow the spread of Ebola, and, in the process, boosted the public health infrastructure and response capabilities in Guinea, Sierra Leone, and Liberia. 3. Domestic Response: The first imported case of Ebola in the United States showed how vulnerable the world is to diseases that are only a plane ride away. It also revealed gaps in hospital preparedness for these threats that CDC and state health departments quickly worked together to bridge. Over the past year, CDC educated the American public and health professionals on Ebola, how it’s spread, and how to protect themselves from it.